by Jane Chuck. : Free roaming anyone? Okay I don't want to go all “I can't live without internet” but honestly, the internet is part of my life. No, I don't think it's a good thing to stare at your phone and not enjoying the moment, but for me, I love sharing the moments with my followers. So what I normally do is, I will only go online when I was having coffee and I update my stuff. Imagine if I don't have instant internet access, I think I wouldn't have the same mood while sharing after a week or two. 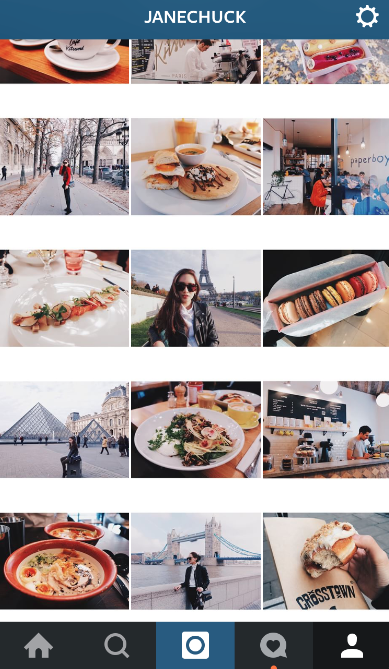 Which explains why I am obsessed with my own instagram feed when I was in my europe trip (sorry for being thick face lol but I really put a lot effort on my editing and photography). Thank god that I loaned a pocket wifi and most cafes offers wifi. Of course, how good is it if we don't need to pay for internat when we are in overseas. Seems like it's impossible but here I tell you, that this is possible. FREE INETERNET ROAMING is legit, available in 8 countries & regions, including Australia, Cambodia, Hong Kong, Indonesia, Philippines, Singapore, Taiwan and Thailand, only for U Mobile prepaid users. To be eligible for the prepaid Free Internet Roaming special offer, you need to make a top up with the minimum amount of RM50 to enjoy complimentary 50MB data everyday for the next 30 days. Once the 50MB limit is exhausted, you can continue to enjoy internet roaming services at the lowest rate in the Malaysian market at RM30/day for all applicable countries and regions. YES, for the history, IT IS THE CHEAPEST. Apparently once you reached your travel destination in any of the 8 countries and regions, they will be automatically connected to U Mobile’s preferred roaming operator, allowing you to immediately enjoy the Free Internet Roaming service. Awesome. U Mobile’s FREE Internet Roaming of 50MB everyday lets you stay connected while travelling overseas. The 50MB FREE quota is sufficient for those who are like me who love to share their special moments, interesting thoughts, and latest status updates via social media platforms such as Facebook, Instagram, or Twitter, or for them to connect on instant messaging platforms like WhatsApp™, WeChat™, LINE™ and KakaoTalk™ .